Last night saw the premiere of Veep, HBO’s new sitcom focussing on a fictional U.S. vice president, played by Julia Louis-Dreyfus, and her support staff, headed by Anna Chlumsky. Well, I say it’s a “new” show, but it will all seem rather (comfortingly?) familiar to anyone who’s seen writer/director Armando Iannucci’s previous “fly-on-the-wall” political comedies, such as BBC4’s The Thick of It, and the Oscar-noinated In the Loop (in which Chlumsky also appeared). Personally, I find this style of satire inspires wry chuckles, rather than gut-busting laughs… and when the credits roll I’m left feeling slightly empty, and depressed by the suggestion that the elected officials who control our fates are as incompetent and callous as the characters depicted here. Sigh. 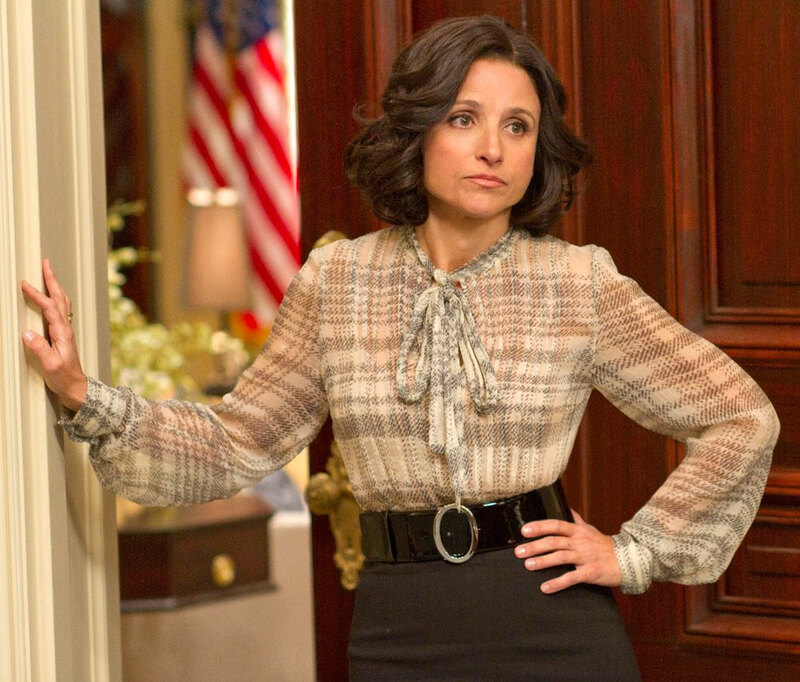 Crushing disillusionment aside, this is a typically well-played and well-crafted extension of the Iannucciverse, and I’m happy to take any opportunity to see Louis-Dreyfus getting into wacky scrapes and swearing her head off. Did you know she has her own flag? Bless. This entry was posted in Rants about TV and tagged Anna Chlumsky, Julia Louis-Dreyfus, Veep. Bookmark the permalink.